Our PKI 9270 should belong to the basic equipment of all military and civil forces in current or former battlespaces. 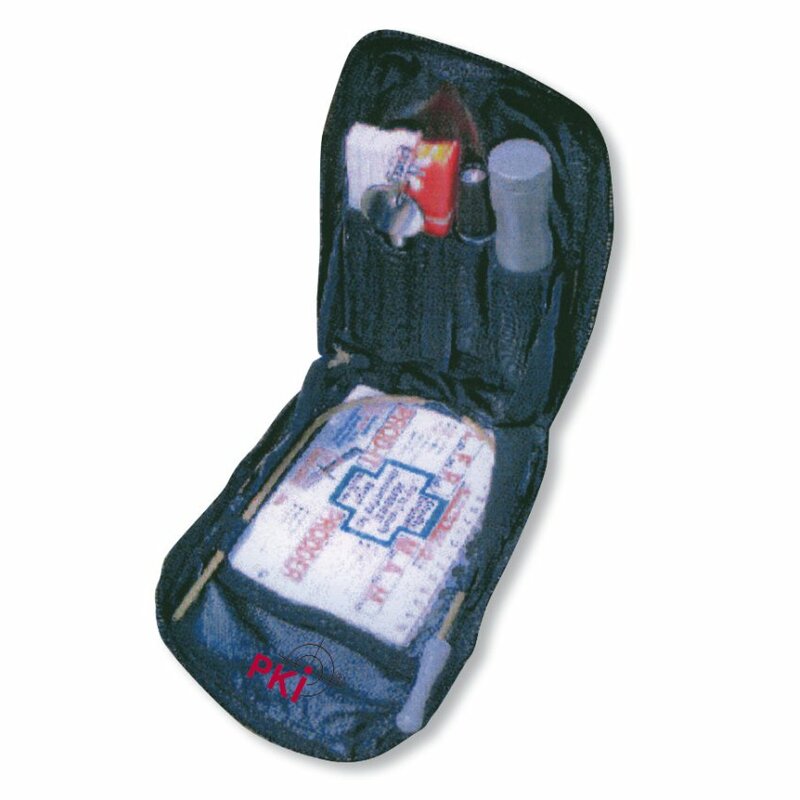 All tools are placed in a handy belt bag to be at hand immediately and at any time. The trip wire detector is made of carbon and extremely lightweight. This allows detection of very sensitive wire traps. Also part of the set is a telescopic mine search needle, the single parts of which are placed inside its ergonomically formed hand grip. PKI 9270 comes with hand guard. A torch and extendible mirror complete this set, which are of usefull assistance at numerous occasions.